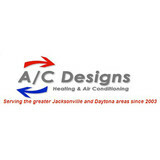 AC Designs Inc. is a residential and commercial HVAC company that offers installation, replacement, repair, and maintenance services for heating, air conditioning, and indoor air quality systems in the Jacksonville, FL area. 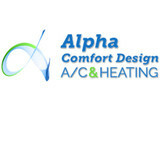 We also offer services for new construction HVAC and system controls, including thermostats and zone control systems. 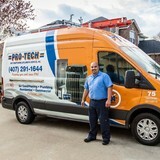 Our team of qualified HVAC technicians are NATE-certified and highly experienced with all types of home and commercial heating and cooling systems. We put "Best Value" in our name because it's what we've worked hard to offer you for over 20 years. As an FPL Independent Contractor, we can provide you with your local electric company's best rebates and savings. We're committed to quality. We're proud veterans and members of Angie's list and the BBB with an A+ rating for excellent service! Third generation family owned business. We've been in Deland since 1921. Aldons Heating & Air Conditioning is proud to say we have been servicing the West Volusia area as a family owned and operated company Since 1968! We pride ourselves in exceptional customer service and on time appointments. Call to schedule a service appointment with our friendly staff or for a free, no-obligation new system written quote to determine the perfect system for your home. We look forward to hearing from you and adding you to our long list of satisfied customers. Climate Masters offers air conditioning installation, maintenance and repair, heating installation, maintenance and repair, indoor air quality services, commercial HVAC and more. We have served Saint Augustine, FL and the St. Johns county since 1988, and provide 24 hour emergency service. Contact us today to get started with your project! 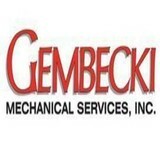 Generally, Ormond Beach HVAC contractors or HVAC technicians work with or run companies that repair or install heating systems and air conditioning units for homes. But they have specialized services too. For example, if you are a wine collector and you are thinking of installing a wine cellar in your Ormond Beach, FL home, you might hire a Florida HVAC professional who specializes in refrigeration work. HVAC professionals can use their skills to help you to save money on your Ormond Beach, FL home’s energy bills by installing radiant barriers in your attic or split-zone heating and cooling systems to heat rooms like solariums while cooling upstairs bedrooms during warmer temperatures. Find HVAC contractors on Houzz. 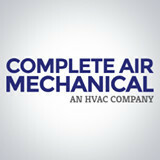 Look in the Professionals section of our website and search for Florida HVAC contractors. Read reviews and see how an HVAC contractor might approach your Ormond Beach, FL home’s heating and cooling challenges.